It's been awhile since I posted, so I'm hoping to get this back regularly. 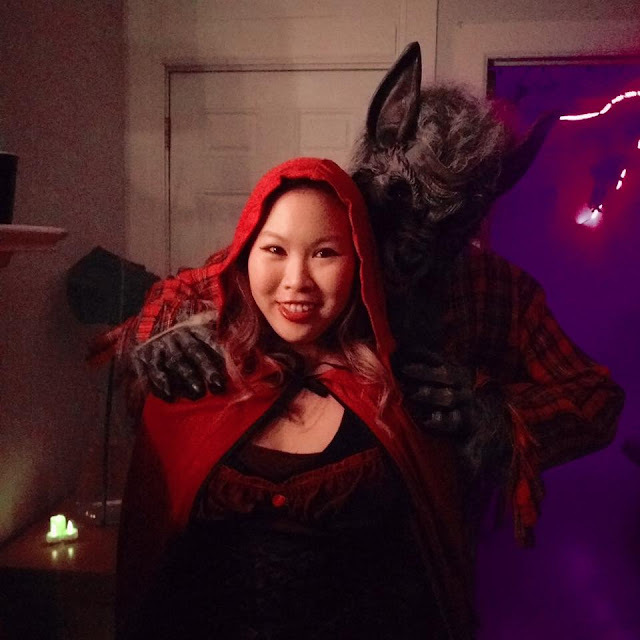 This past Halloween, I dressed up as Red Riding Hood and Andres dressed up as the wolf. 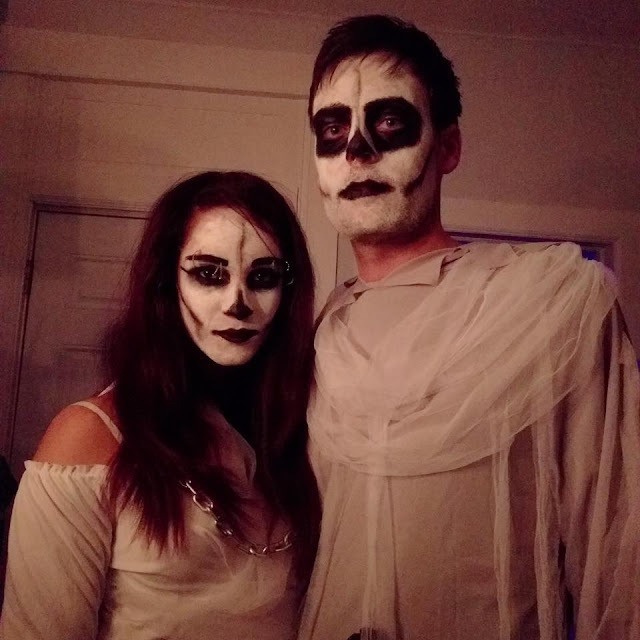 We went to a friend's party with our other friends, Jo and Luke. This party went all out! The theme was "Occult in the Woods" and the amazing hosts handmade a lot of the props. Twigs were put together as inspiration of the stick figures in Blair Witch Project, real moss and branches from trees adorned the rooms with paper bats, a fog machine, alchemy and witchcraft books, and of course, blood on mirrors. You can also can't forget about the dry ice for the "bog" water.